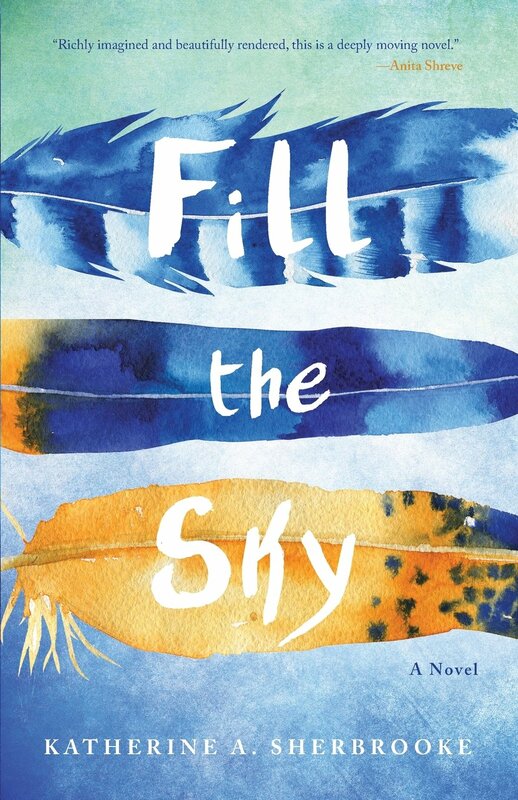 Author Katherine A. Sherbrooke's first novel, Fill the Sky is the dynamic story of three friends who travel to Ecuador so one can seek cancer treatment from traditional healers. This sophisticated debut about women's friendships would be a smart pick for a book-loving mom on Mother's Day and makes a great summer read. Kathy lives outside Boston with her husband, two sons, and a black lab named Huck. She recently answered questions for Rose City Reader. How did you come to write Fill the Sky? In 2011 I had the opportunity to go to Ecuador with eleven other women. All of us were feeling the need for some soul-searching for one reason or another, and over the course of a week we worked with various shamans, learned a lot about traditional approaches to emotional wellness and about Ecuadorian’s reverence for mother earth, or Pachamama, as they call her. The place, the people and the ceremonies we participated in were so unlike anything else I had ever experienced that it seemed like the perfect setting for a book. Your story describes many traditional healing practices and ancient ceremonies of Ecuador. Did you have to do additional research about the cultural information and detail found in your book? All the ceremonies in the book, except one, are based on ceremonies I actually experienced, all fictionalized, of course, to serve the purpose of the story. I relied a lot on photographs and journal entries from the trip to unearth details. I did conduct some follow-up research to fill out missing pieces of information, or confirm things that I thought to be true, but it wasn’t a research-intensive project as much of it came from memory. Also, the story is told from the point of view of three American women who are completely out of their own element, so while I very much wanted to represent Ecuadorian traditions and beliefs accurately, any “American” filter it has on it is actually quite appropriate. I co-founded and ran a company based in Boston for many years. After it was acquired by a large corporation, I took some time off to ostensibly figure out what my next start-up would be. As a side project (while I caught up on sleep and researched possible start-up ideas) I wrote a family memoir about my parent’s love affair (called Finding Home). It was a very personal project—my only goal was to capture the story for future generations—but it reminded me how much I have always loved to write. I knew I had to try fiction next. I’ve been pursuing writing full-time ever since. Not sure how long that can last, but being able to focus on it has been an incredible gift. Nature is central to Ecuadorian life, and plays a very important role in the book, so I knew from the start that I wanted a title that referenced nature in some way. Rain is particularly integral to the story, and I liked the idea that before rain can come down, water must first be drawn up into sky, one of the many cycles of nature we tend to take for granted. Fill the Sky also struck me as a very hopeful phrase. Something about it makes me want to look up at the great expanse and believe that anything is possible. I recently wrote an essay about how laughable it was when I first typed the words “THE END” onto the last page of my manuscript, that I thought I was nearly done. I wasn’t even close. This process, for me, has been as much about revision as anything else, including completely starting over at one point. Every day of writing had value in my quest to understand my characters and fully construct the world I had placed them in, but there were thousands upon thousands of words that got left on the cutting room floor. That was not something I had expected. I had decided early on to approach writing this book like a job—I’d work hard at it Monday to Friday, and then take the weekends off. I thought this was good discipline, for both my creative life and life at home. Then I heard the very prolific writer, Walter Mosley, say something that changed everything for me. He described the creative process as tapping into a the deepest levels of our subconscious, and said that the best work comes when we are able to be fully submerged in the imaginary world we are creating—almost like a wakeful dream-state—but getting to that state is only possible by immersing ourselves day in and day out, no breaks. Every day we take off, we risk ripping ourselves fully out of that world, and it might take weeks of work to get back “in.” The minute I heard him say this, I knew he was right. As soon as I started to give myself permission to work on the book every day (even if it was only two hours on Saturday and Sunday mornings before the rest of my house woke up), the quantity and quality of my work tripled. I was putting out more words than ever before, and the quality of the work was much higher. From now on, when I am in the throws of a project, it will be seven days a week. I tend to fall in love with books more than with specific authors, but I can tell you that some of my favorite authors include writers like Wallace Stegner, Geraldine Brooks, Anita Shreve, Paula McLain. I am a strong believer that any writer’s first education comes from reading, so I’m sure just about every book I have ever read has influenced me in some way. I tend to gravitate toward books with strong female protagonists. I read a lot of historical fiction as well as contemporary fiction. Of late, I’ve really enjoyed books that fictionalize an actual person, like Dawn Tripp’s Georgia. I thought that was fantastic. I just finished Homegoing by Yaa Gyassi, which blew me away, and Isabel Allende’s House of Spirits. I’m currently reading Ann Hood’s latest, The Book That Matters Most, and Commonwealth, by Ann Patchett. 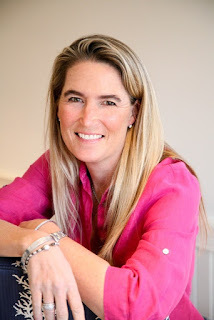 Word of mouth is probably the single most effective tool for generating awareness about books, and social media is all about spreading the word, so I feel very fortunate to be a debut author during a time when there are an almost limitless number of avenues available to help get the word out. Some platforms feel more natural to me, and others have taken some getting used to, but I’m trying just about everything that feels authentic to give myself the best chance of connecting with potential readers. I think you need to be where they are if you want to be discovered. Someone said to me recently that social doesn’t sell books, but does build community. I’m very much looking forward to creating a community of readers interested in exchanging ideas and having meaningful conversation. That would be a terrific outcome in my eyes. Yes! There is a list of readings and book signings on my author site and a place to sign up for future announcements. Yes. I am in the early stages of another novel. It also addresses topics that I think will create some interesting conversation. Stay tuned. FILL THE SKY IS AVAILABLE ONLINE OR ASK YOUR LOCAL BOOKSELLER TO ORDER IT!